A classic character named Kitana has been confirmed as the latest warrior to join the diverse cast in Mortal Kombat 11. The news came through a new TV spot for the game. Watch the Princess of Edenia prove her might in combat in this trailer. The stepdaughter of Shao Khan first made her debut in 1993’s Mortal Kombat II, and she has been a series staple for a long time. 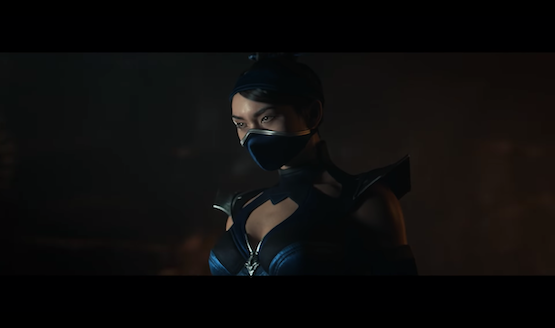 NetherRealm originally made her presence known in Mortal Kombat 11 story mode footage, and it seemed certain she would be a part of the final roster. No gameplay footage of her has been shown yet. Her clone Mileena, who is another series mainstay, hasn’t been confirmed for Mortal Kombat 11‘s cast yet. NetherRealm Studios has pumped out a lot of information on Mortal Kombat 11 recently, such as announcing a new character called The Kollector. Like Goro, The Kollector has four arms. He seems to be a character that could confuse his opponents with a wide variety of moves. For example, he has an anti-air move, a command grab that stabs his opponents multiple times and then throws into the air, a fire projectile, a chakram attack that can stun enemies, and has the ability to teleport. You can fight as Kitana, The Kollector, and many other fighters when Mortal Kombat 11 releases on April 23, 2019, for the PS4, Xbox One, Switch, and PC. Who do you think will you main for this brutal tournament? Six characters remain locked on Mortal Kombat 11‘s roster page on the game’s website. Who do you think will be revealed next? Are there any guest characters you’d like to see? Maybe Kratos could return to the series with weapons and armor from the new God of War. That would be pretty awesome!